Construct was my breakthrough product; my previous projects had been labour intensive and therefore expensive to produce at low volumes. By using three identical components to make up the framework I was able to reduce part costs, and by assembling myself using aircraft rivets I was able to eradicate the need for welding. 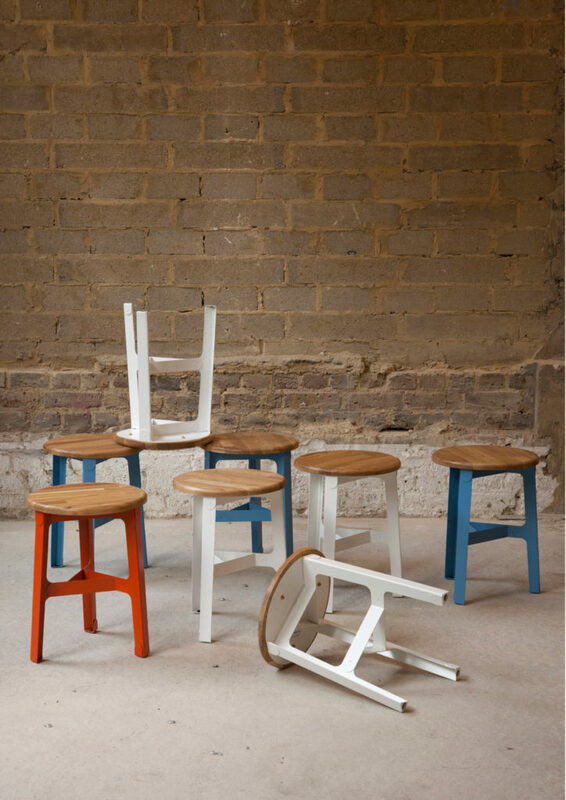 Naughtone, a furniture manufacturer based in Harrogate, saw promise in this manufacturing-friendly approach to design and began producing my Construct range in 2012. The family consists of three stools (low, counter and bar heights) and a coffee table.